Traveling cat spotted in Moscow, Russia. Awwww, poor little fella in the snow. Now that looks well cold. Have a marvellous Monday. He looks cold.....but I like the photo - the little cat by the big white wall.......poor little thing! 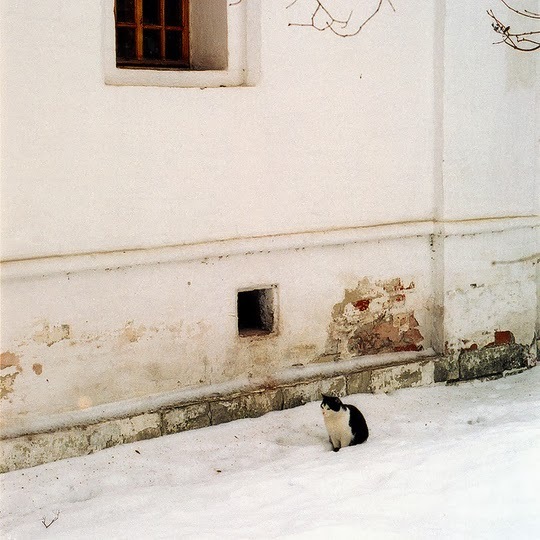 Come in out of that cold snow, Comrade Kitty! Il a l'air un peu perdu ce joli minou. Awww... this kitty looks a little dirty and cold.